CHIANG RAI: Rising water levels yesterday afternoon have complicated the search of 12 young footballers and their coach who have gone missing for three days as divers are trying to move further into the cave. “It’s showering. 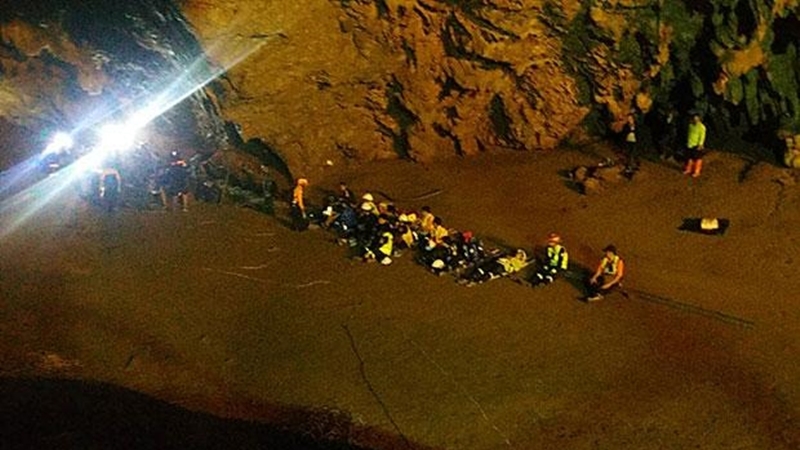 The water level inside the cave is going up,” the Royal Thai Navy SEAL posted a message on its Facebook page at 4pm yesterday (June 25). Handprints were found on the cave’s walls, it added. The signs raised the hope that the divers were on the right track to finding the 13 persons going inside the cave in the Tham Luang Khun Nam Nang Noon Forest Park in Mae Sai district of Chiang Rai on Saturday afternoon (June 13). All are members of the Moo Paa Academy football club led by coach Ekkaphol Chantharawong. Deputy Chiang Rai governor Passakorn Boonluck said the rising water inside the cave was the problem. Authorities sought help from the SEAL team after they could not go deep inside the cave. The elite unit of the Royal Thai Navy from their base in Sattahip district, Chonburi, began their operation on yesterday morning. The SEAL divers went as far as seven kilometres inside the flooded cave. They went down 5 metres deep to reach a large chamber. They had to temporarily suspend the search later in the evening. Capt Anant Surawan, chief of the Underwater Demolition Assault Unit, said the darkness and water level were posing risks for the operation. All were ordered to return to map out the next moves, he added. The Border Patrol Police have sent helicopters to the area to look for other entrances to the cave.